There's a special kind of pleasure to be derived from having a film processed. Not really knowing what results you'll get when you take the pictures, combined with forgetting what pictures you took, leads to a real sense of anticipation, surprise and 'oh, yeah!' - especially when the film's been in the camera for several months. We lose this with the immediacy of digital photography. I recently had two films processed. I go to Dragons in Leeds, largely because the staff are so lovely. It's a good 25 years since I processed or printed my own film. The last time I attempted it I was massively out of practice and cocked it up big time, losing a whole roll of pictures taken at a Fatima Mansions gig (I'll never get over this!). One day I'd like to renew this skill, but in the meantime I'm happy I can still access this service. A roll of Ilford XP2 had been in my little Robocam for about four months, and a roll of Agfa colour slide film had been in my old Praktica SLR for about six. The results were mixed. I never really know what I'll get with the Robot camera. It's a toy, plastic, lomo camera with three lenses and no viewfinder, so the results are always surprising. It's best to use it with fast film in good light, because the lenses are quite cheap and nasty. The triple pictures can be very funky, especially if you get just the right amount of movement (there's a fraction of a second difference in the shutter release for each lens). Amusingly, I once processed a roll taken on this camera at an Asda store - every picture came back with a "faulty camera" sticker on it. The SLR I used also produces mixed results. I bought it for a mere £29, and it hasn't got the best lens. I've found that sometimes I have to over-expose images a stop (older cameras often have their little idiosyncrasies). The scanned images are never quite as bright or sharp as the slides themselves, but you get the idea. In August I had my first taste of wedding photography. 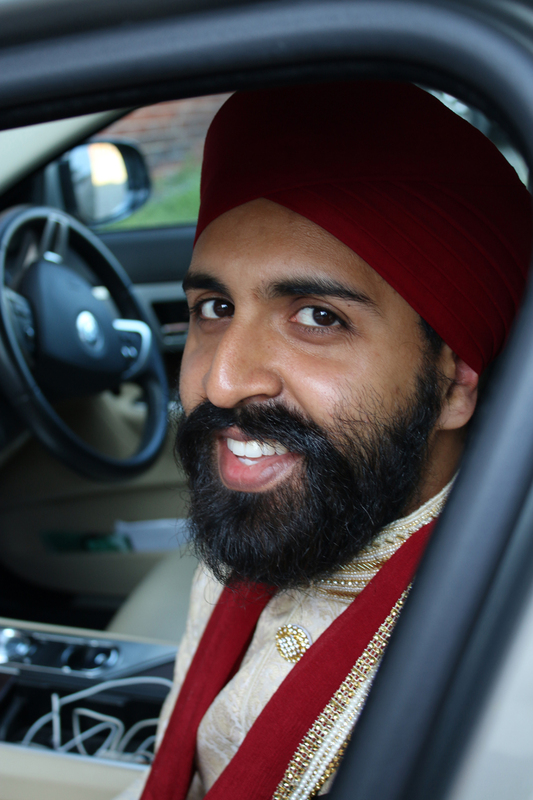 It also happened to be my first Sikh wedding (Anand Karaj). 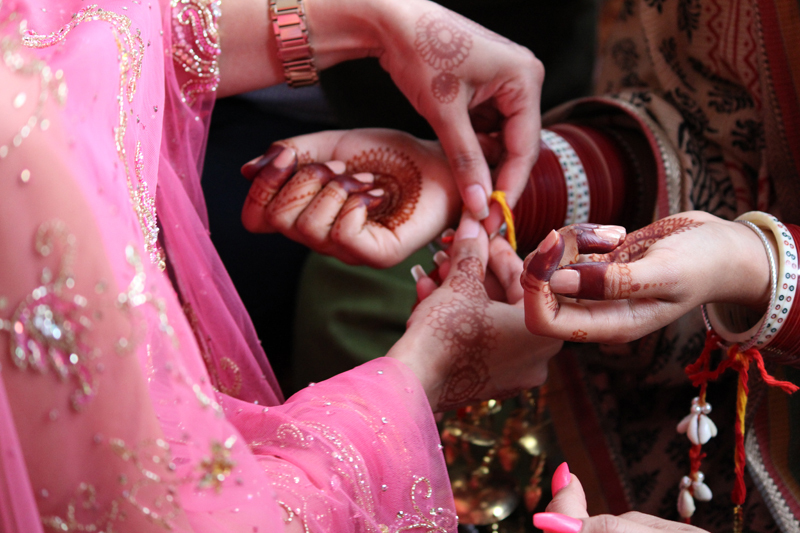 I first met the bride and groom, Seetal and Kaviraj, though my work with South Asian Arts UK. Both are talented artists, and Seetal also runs Two Brown Girls with her friend Aaminah. They know my pictures and how I work as I've photographed various Indian dance and music events, so I was enormously flattered when they asked me to document their wedding. They wanted to capture everything naturally, keeping poses to the minimum, so I was up for the challenge. I approached it in the same way I would any event, capturing characters, details, moments, and movement as stealthily as possible. I felt it was important to be respectful and as un-invasive as possible, particularly during the ceremony. There's nothing more annoying than a photographer getting right in your face! Seetal and Kavi briefed me on the different celebrations and ceremonies I’d be documenting from Seetal’s side over the three days. Another photographer covered Kavi’s end in Leicester, and we were both there for the main event. It was full-on hard work, but enormous fun. I was too hesitant at times, which meant I definitely missed some photo opportunities, but on the whole I felt I'd captured the important things - family, moments, colour, detail, emotion, tradition, and, of course, Seetal's stunning wedding outfit. The Maiyan is a cleansing ceremony, performed a few days before the wedding to prepare the bride and groom for marriage. 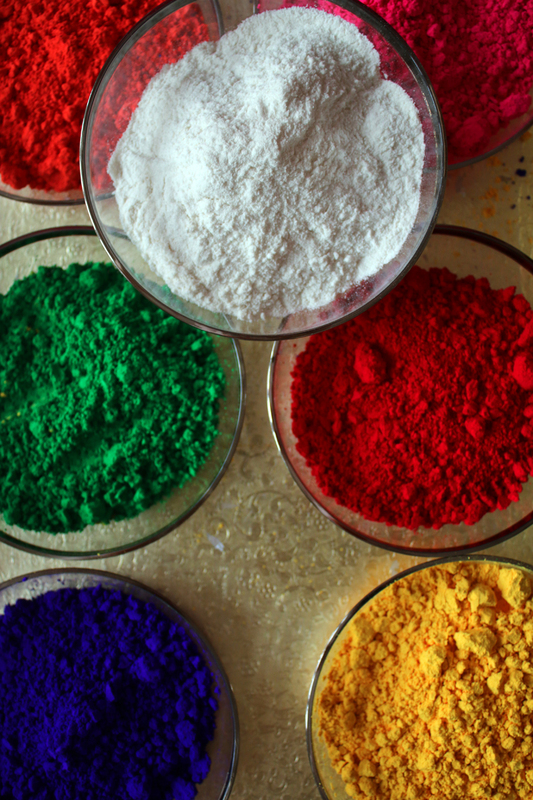 Family members contribute to a Rangoli (a colourful design, in this instance created with powder paint, but it can be done with rice) before later smearing the bride with a wonderfully yellow blend of turmeric, channa and mustard oil. 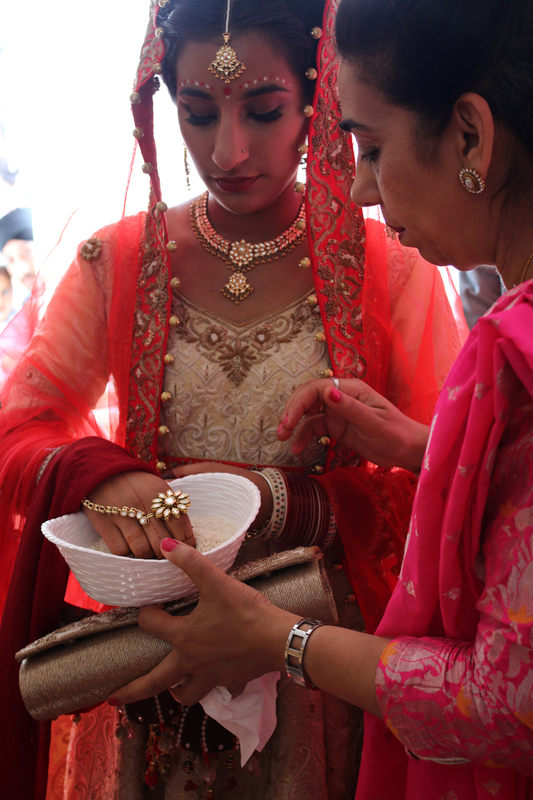 We were blessed with a sunny day for this ceremony, so I like to pretend these were taken in India (we were in Leeds). 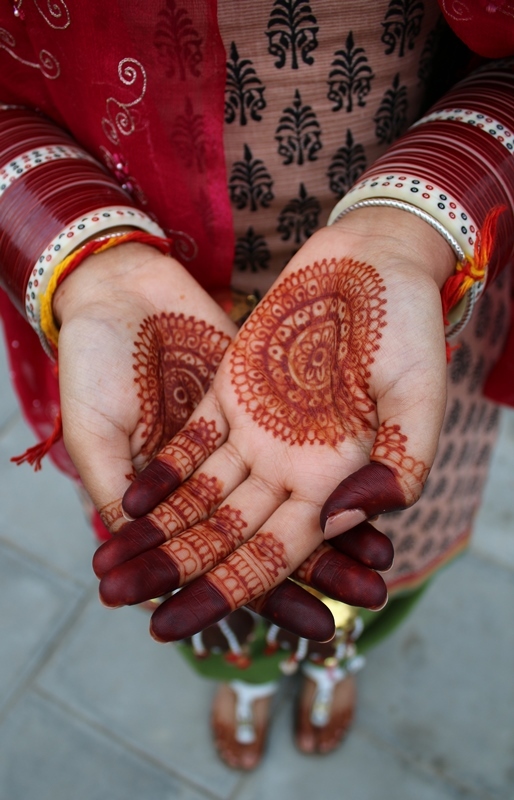 Seetal also had mehndi applied to her hands and feet by talented artist Dilrani Kaur Lall with help from Sukhmani Rayat. Whilst they laboured over this, all the women in the family partook in a Punjabi tradition known as Gidha Boliyan - dancing and singing folk songs, some of which get a bit cheeky. 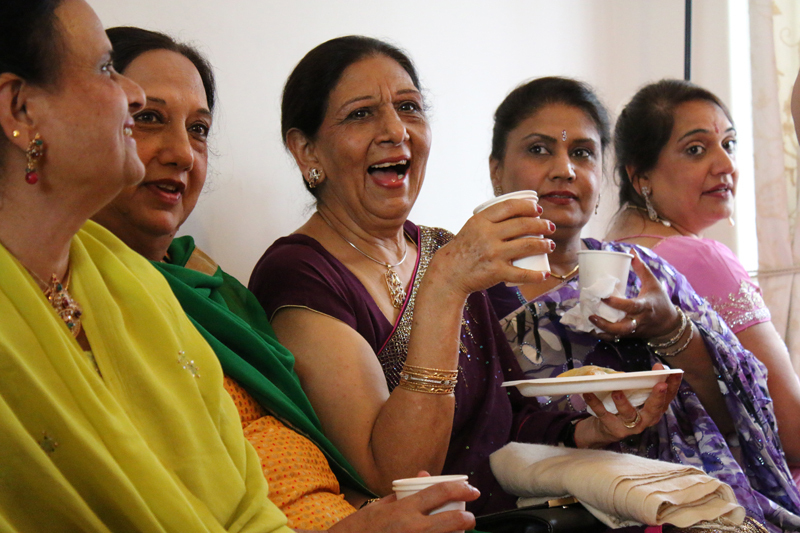 Later, family and friends gathered for a Sangeet evening - a party beginning with folk songs and ending with some lively Bhangra. Punjabis really know how to party! 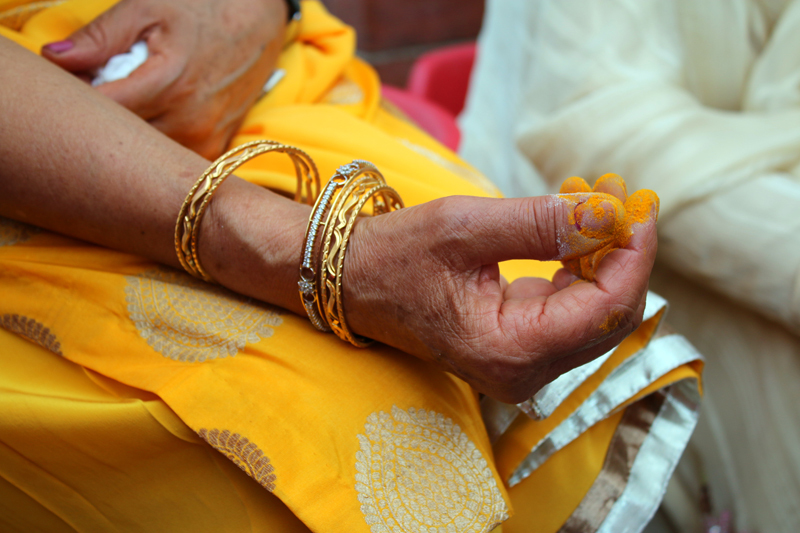 On day two I attended and photographed a ceremony which involved the maternal Uncles dipping chura (bangles) in milk then placing them, in a specific order, on Seetal's wrists. The bride is then dressed in a red chin (scarf). A lot of family pile into an average sized living room! Presents are shared, speeches made, tears are shed, and fun is had. Oh, and it probably goes without saying that there is food. There is always food. A lot of food. 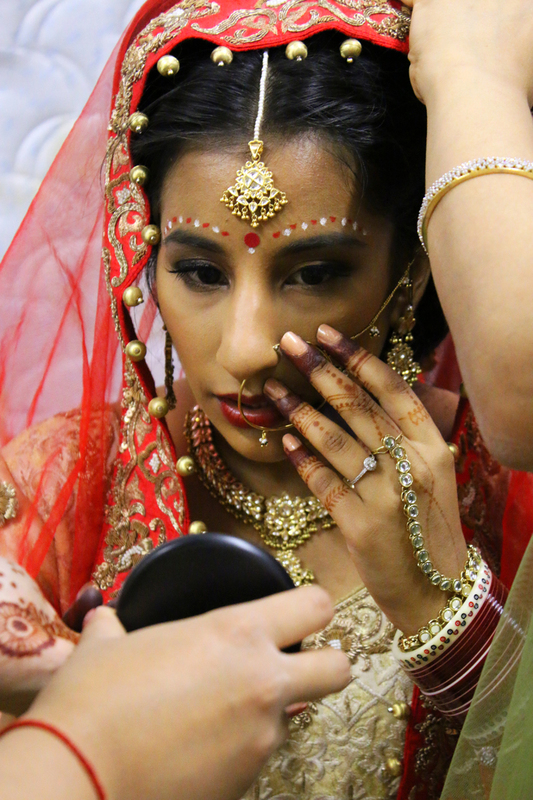 On the 'big day' the Bride finds a space to finish preparing herself as the Groom's family arrive at the Gurdwara. The Bride's female friends and relatives jostle at the back door, indulging a jokey ritual with the Groom's relatives about whether or not to let them in. Then a more formal ceremony takes place, the Milni, where the person in charge of the scriptures introduces key family members to one another. 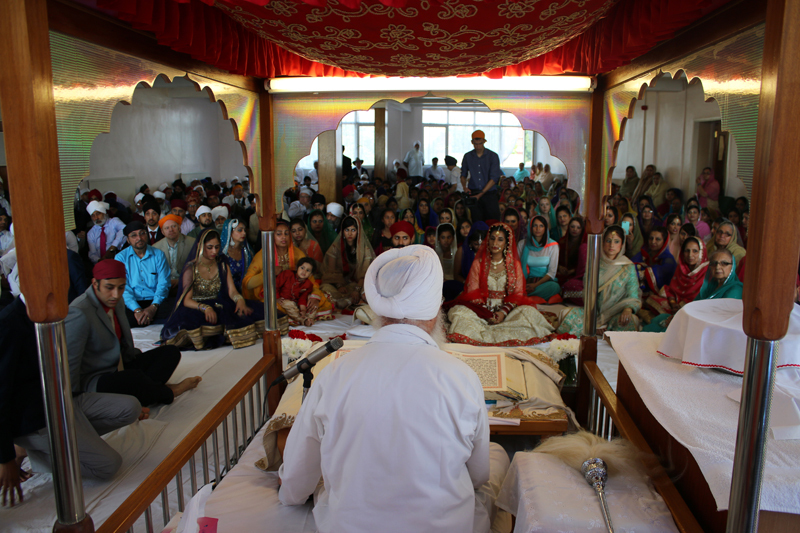 The marriage ceremony itself is called Anand Karaj, where Kavi arrives first to sit before the Guru Granth Sahib. 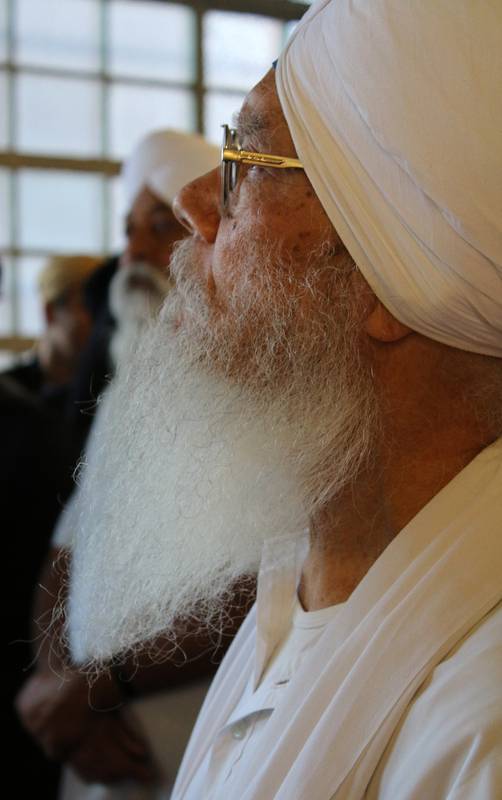 Live Kirtan music is played, led by the rather awesome Kirpal Singh Panesar. 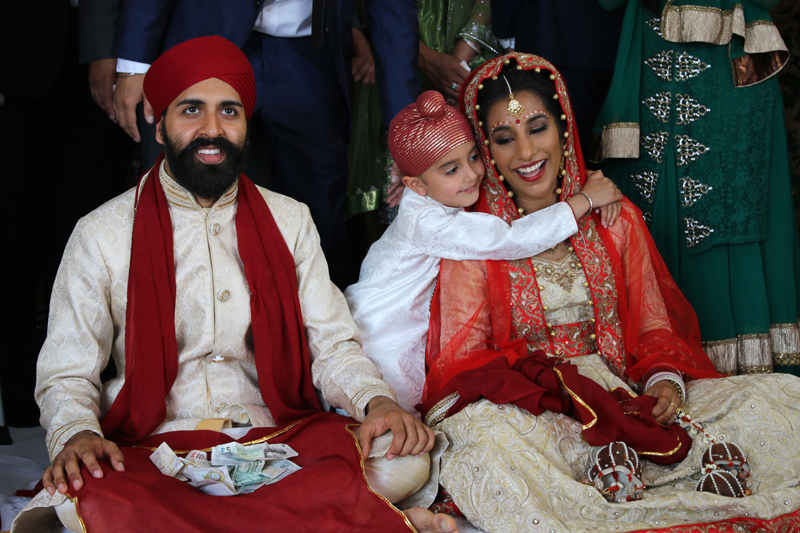 After Seetal enters with her family and sits beside Kavi, Seetal's Mum, Keran gives her daughter's scarf to her new son-in-law, known as the Palle Di Rassam - a clearly symbolic and emotional moment. The formal part of the ceremony ends with the Laavan, the circulation of the Holy Book before sweets are given out to everyone. Guests patiently gather to give blessings to the couple and have their picture taken in turn - the point at which I get serious cramp from endlessly snapping! After yet more food, both families later return to the Bride's family home, only this isn't straightforward, as there has to be more slapstick tussling at the front door and money exchanged before the Groom is allowed to enter! Finally, after even more food, the day ends with the Doli - rice is thrown and Seetal leaves home with her new husband and family. Like any good wedding, it gets a bit teary. I can't thank the families enough for this wonderful experience, and wish them the absolute best! To see more images from this work, hop over to my Flickr. Gear: I used my trusty Canon EOS 60D, mostly with a 55-250mm lens, and newly acquired 70D, with a 18-55mm lens. Occasionally I used a wide 10-18mm lens. For better or worse, I always use natural/available light.